Home Buyer Protection Insurance – Is it something I should consider? Buying a home is stressful enough without the financial worry of a sale falling through. Home Buyers' Protection Insurance helps cover legal, survey and mortgage lending costs should your purchase fall through. What is Home Buyers’ Protection Insurance? So you’ve found a home you want to buy and are ready to put in an offer. Then you start paying for solicitors, surveyors, mortgage advisers and other services to help you with you purchase. This soon adds up to thousands of pounds – a big investment that could be lost if the purchase falls through. Home Buyers’ Protection Insurance can protect you in the event of being gazumped, or if the seller changes their mind. Home Buyers’ Protection Insurance can enable you to claim back some of your conveyancing fees, survey/valuation fees and mortgage/lender fees in the event of the purchase falling through. What is the risk of a purchase falling through? You find a house, make an offer that is accepted by the seller and then it’s yours, right? Buying sounds straightforward until you actually try and do it. Frustratingly, as many as 3 in 10 property purchases fall through (source: Which survey of homebuyers June 2016). And, a recent survey conducted by emoov in July 2017 indicates that 36% of buyers experienced gazumping during their purchase (up from 13% in 2015). Longer cover for 180 days is also available. Our Home Buyers’ Protection Insurance provides cover for conveyancing, mortgage and survey fees incurred by an insured purchaser when their purchase of a property falls through. With many reasons causing a property purchase to fall through, no one likes being left to foot the bill for the wasted costs. By reimbursing these fees, a purchaser who has Home Buyer’s Protection Insurance is provided with peace of mind should the purchase not go ahead. Does damp matter and who can I call for help? 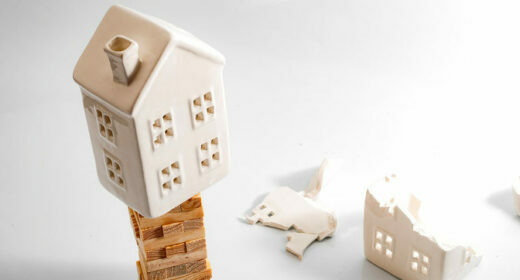 What is emergency home insurance?